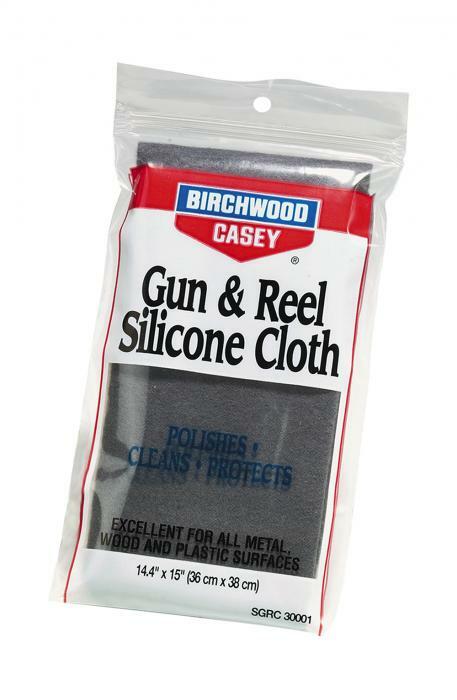 Birchwood Casey Gun & Reel Silicone Cloth Cleaning Cloth 14.4"x 15"
Gun and Reel Silicone Cloth leaves a lustrous, lasting, protective film on all metal, wood and plastic surfaces. The double napped, 100% cotton flannel cloth is the ultimate in softness and quality. Cloth is impregnated with pure silicone and then packaged in a convenient zip loc recloseable bag.